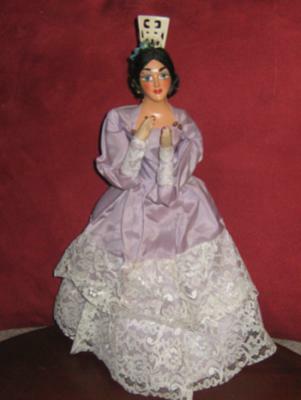 Here is another one of the dolls I inherited from my grandmother. I know she is paper mache or something like that and they use small nails in making her. She has a small wooden stand attached.